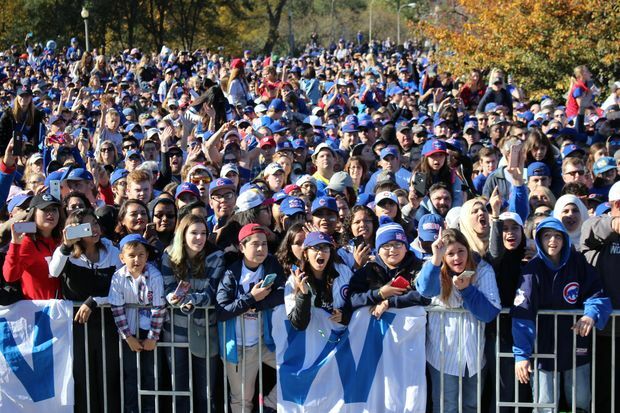 DOWNTOWN — The bill is in for the Cubs' massive championship rally in Grant Park. 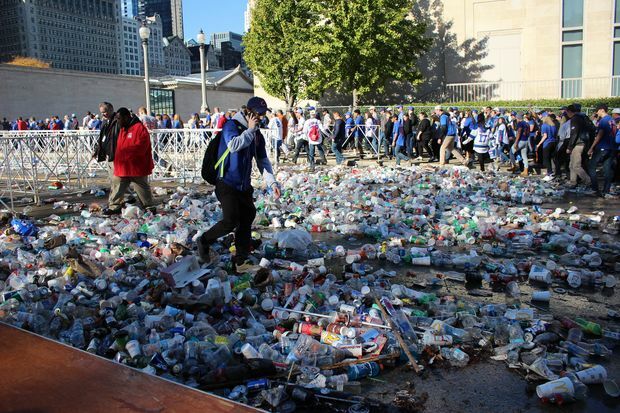 The Chicago Cubs will pay parks officials $388,000 to repair the Downtown park after hosting hordes of baseball fans for the rally there earlier this month, said Jessica Maxey-Faulkner, a spokeswoman for the Chicago Park District. The costs include paying a company city officials hired to pick up trash after the rally, as well as repairs to the park itself including fixing fences, re-sodding Lower Hutchinson Field and aerating grass. 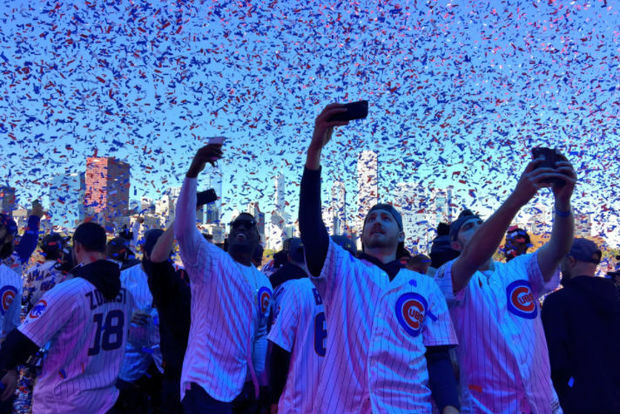 Cubs fans waited 108 years to see their club win a world title, and they showed up en masse to celebrate Downtown after the team's historic championship. The trash has long been cleared, and park repairs should be done this fall depending on the weather, Maxey-Faulkner said. The cleanup cost, though big, falls short of the $453,000 it took to repair Grant Park following this summer's extra-long Lollapalooza. But it's also way more than the $236,000 to repair the park after last year's Lolla. The rally was a proud moment for Bob O'Neill, head of the Grant Park Conservancy, who called it a "historical event that will be talked about for centuries." "Chicago has never seen a celebration of this magnitude," O'Neill said. "It created for civic pride for Chicago and is very good for the economy. Chicago needed the win more than ever." But there's still work to be done. Lower Hutchinson Field, which was soggy during the rally, was ripped into mud. Part of the Solti Garden at Michigan Avenue and Jackson Drive was trampled. "These celebrations are really great for Grant Park and Chicago, but we need to make sure we get the resources to maintain it at world-class, front-yard standards, and continue to make it greener and greener and more beautiful," O'Neill said. "But the economic, civic and marketing impacts far exceeded the cost of the repairs." Spokespeople for the Cubs did not immediately return messages seeking comment.